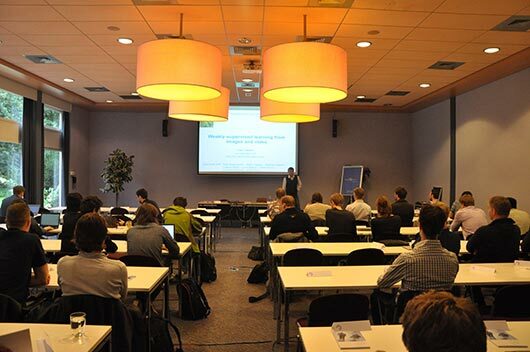 On September 14 and 15, 70 participants from academia and industry attended the second Netherlands Conference on Computer Vision in Lunteren. We had an interesting program with keynote talks by Christoph Lampert and Ivan Laptev, 15 orals and 20 posters and much room for discussions and social activities. Photos and slides of the keynotes can be found online. The organization (Hamdi Dibeklioglu, Theo Gevers, Thomas Mensink and me) would like to thank all attendees!